Conveying Awareness with Jessica David: Treating Yourself Naturally - Bath Time Done Right! Treating Yourself Naturally - Bath Time Done Right! This post shares with you the natural products I use for my showering routine. 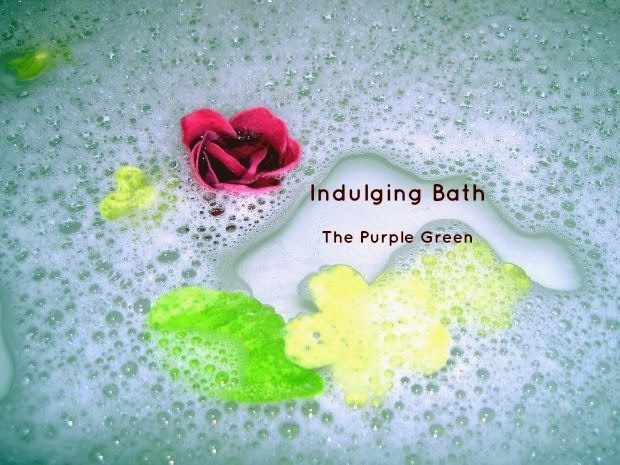 I've invited Monica Unseld, of The Purple Green Blog, to share with us tips on taking a luxurious [detox] bath. She will share her personal recommendations for toxic-free products. When I thought about how much I have grown in these short few years, I feel empowered that the decisions I make in the future regarding natural wellness will become easier and easier. It helps that I'm connected with other mamas who desire the same. They inspire me to keep learning! I hope you can be encouraged, too! Step 1) Dry brush (like this) your skin in upward strokes towards the heart; it helps remove dry, dead skin, stimulates the skin, and gently exfoliates it. Start out slow because it will feel abrasive at first then after a few uses, it will feel invigorating to the skin. Step 2) I use two soaps; one is for my body and the other is for my face. I buy goat milk soaps from local artisans who use essential oils and not synthetic fragrance. I also prefer to use an activated charcoal goat milk soap bar that is great for reducing pores and I use it on my face and pits only. When I'm out of the goat milk soap, I use Dr. Bronner's soaps (like this). The peppermint is my favorite because it 'wakes up' the skin! Dr. Bronner's soaps range in cost from $4-6 (per bar). The goat milk soaps from the two businesses are about $5 per bar. Step 3) For a gentle in-the-shower exfoliation, I use coconut oil and baking soda (2:1). [For a gentle out-of-the shower exfoliation, I use almond meal and water (3:1). After the almond meal exfoliation, I use a honey and lemon juice mask (2:1).] With the coconut oil and baking soda mixture, the honey and lemon juice may not be needed. Step 4) For a body scrub, I mix coconut oil, sugar, and essential oils together and store it in a mason jar. It is very effective for dry feet. I love to walk bare foot almost year around and in the winter, my feet are naturally drier so this has been a life saver. I use it with a pumice stone kind of like this. Step 5) For shaving (best for females), I have two options: The first, is using the same coconut oil and baking soda as outlined in Step 3 or two, taking the oil off the top of the body scrub in Step 4, and applying it directly to my legs and pits. It is gentle and softens the skin without any irritation. If you find that you have irritation, you may need to reduce the baking soda or switch the essential oils (or omit). Step 6) For washing hair, I have gone with a 'no poo' (I prefer no chemicals) but I recently went back over to the other side - buying my shampoo but I look for certain ingredients to avoid. The best place to start when looking for a natural product is to look through the ingredients to see if there are any synthetic fragrances. This usually weeds out most of the products I do not want to use. I wrote a post about my first experiences of going 'no-poo' here and then I used a new and improved no-poo recipe from Natural Living Momma (NLM). As seen in my own no-poo post, before I decided to take this approach, my hair was dry, breaking off, and looked a hot mess! If you didn't read my post, I must add that I do a rinse after no-pooing (while in the shower). I mix water with apple cider vinegar (ACV) (8 oz of water to 1 T of ACV) and lemon juice with water (8 oz of water to 1 T of lemon juice). I do the ACV first and let it sit on the hair as I bathe then I rinse it out and then apply the lemon juice mixture; rinsing it right before I get out. It softens my hair and makes it easy to brush. Instead of using a bath towel, I wrap my hair up in a cotton white-T which softens the hair cuticle and keeps frizz down. Leaving your wet hair in the t-shirt can cause frizz (around the hairline) if you don't take it down as soon as you can to brush it. Note: I only wash my hair every 4-5 days. I went to hair school in '97, graduated in '99 and have never dyed my hair, ever! I have never washed my hair daily due to its thickness and it's way too much work anyway. Pony tails are great for those days I'm just not feeling it and I know some mamas can relate! I know from personal experience natural oils are good for hair growth and hair repair. Plus after going chemical free, I've seen my hair come back to life after moving to an area with very hard water and a very dry climate. Step 7) I use my own body butter or just coconut oil on my skin and face. I also will use products from small businesses that use quality oils and essential oils (not synthetic fragrances). My friends from Sky Fire Ranch Soaps are no longer selling their products due to circumstances beyond their control but I thoroughly enjoyed their body butters (and goat milk soaps). 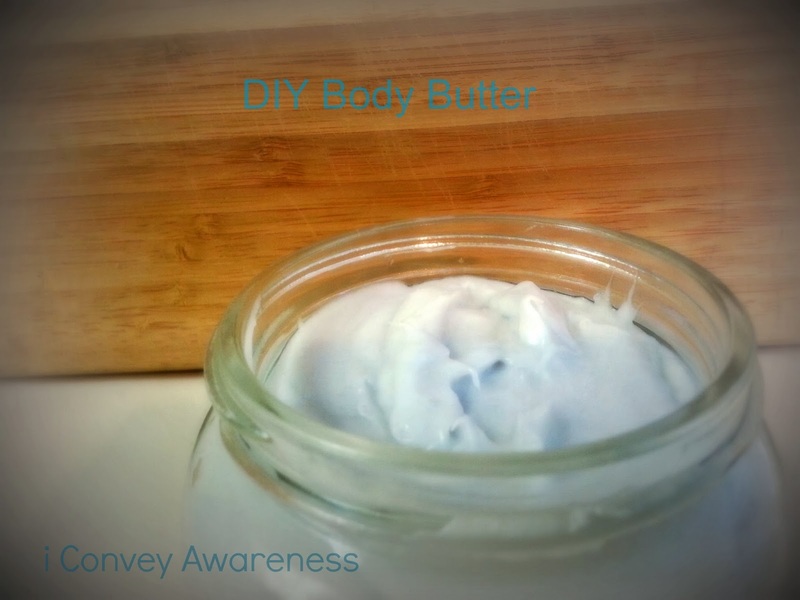 Step 8) I use natural deodorant from Handcrafted Honeybee and Primal Pit Paste link to this is on my products tab). I went 'natural' in September of 2012 using plain milk of magnesia (like this) to detox my body from chemicals in the store brands. It took 6 weeks to detox then I used DIY deodorants using coconut oil as the base ingredient with baking soda and essential oils. And, while they worked in the colder months, it became a liquid mess in the hot months. So, that's why I ended up trying the other natural deodorants from the companies just mentioned and I have been pleased ever since! Step 9) Since I went no-poo, my hair has been easier to brush / comb after it's been washed. With the no-poo recipe I'm using from NLM, I have the same results - effortless brushing. After it's been brushed, I apply a pea-size amount of coconut oil throughout my hair concentrating most of it on my ends (from the nape of my neck to the ends). If using coconut oil alone doesn't help, Nearly Natural Momma shares her DIY detangler that I've made and have used. It leaves the hair silky but it smells a lot like ACV - which I'm not a fan of (so I spray distilled essential oils on my hair to mask the scent of apple cider vinegar) and it works great! In between washes (as I don't wash my hair daily), I spritz my hair with water and apply more coconut oil or sometimes I use avocado oil. Step 10) I can now let my hair 'air-dry' - this was never possible before no-pooing. I have naturally wavy hair and with the no-poo and other natural recipes I've used, it has helped spring life back into my hair! There you have it! Showering from start to finish using all natural products. It's stressful having to think about all of the toxins we face in our daily lives; toxins in our personal care products, toxins in our home, toxins in the air we breathe. I bet a nice relaxing, candle-lit bath sounds good right about now, doesn't it? Well, fortunately, we can put our baths to work to help us remove some of the toxins we come into contact with each day. They're called detox baths and there are several recipes. Detox baths are actually an ancient practice that goes back thousands of years. Both the ancient Romans and ancient Greeks had methods for detoxification by bath. Modern methods have reemerged in recent years. While the science behind them is emerging, the ingredients used are non-toxic and have been shown to have health benefits. As always, if you are on any medication or have a medical condition, please pass your detox bath ingredients by your doctor first. According to Discovery Health, Epsom Salt is a good ingredient for a detox bath due to the magnesium sulfate which is the chemical compound in Epsom Salt. "Magnesium helps keep your bodily functions running smoothly, including some of the pathways that lead toxins right out of your body. Sulfate helps to strengthen the walls of your digestive tract so that it's easier to release toxins. As a compound, magnesium sulfate also raises the amount of digestive enzymes in the pancreas. The compound also helps in purifying and detoxifying your body of heavy metals [source: Epsom Salt Council]. All of these functions help to aid the body in getting rid of toxins. However, there's not a lot of medical research documenting how much of a detoxifying effect Epsom salt may really have." Do not eat immediately before taking a detox bath. Drink filtered water. Add 2 cups of Epsom Salt to a tub of hot water (for a large tub add more). Add 1 cup of baking soda, if your water is unfiltered. This helps neutralize the chlorine and helps with mineral absorption. FYI: Baking soda is aluminum-free. See Crunchy Betty's statement. Immerse yourself up to your neck and soak for at least 20 minutes. While you're in the bath, practice some breathing exercises. Cautiously and slowly rise and get out of the tub. You may feel light-headed and dizzy. Take a shower in cool water. This will ease any feelings of dizziness. Use non toxic products during the shower as your pores will be open and read to absorb any products you use. This also applies to when you dry off. *See my recommendation below. * I recommend: Ava Anderson Non Toxic Products. What are your go-to resources / recipes for using all-natural products? 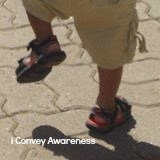 I [Conveying Awareness] do receive a small commission from Amazon.com if you purchase anything through their site using one of the links above (read my full advertising disclosure here). Let's Get Snacking -- For kids to adults!